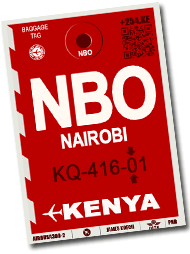 A new airline will on Monday launch flights on the Nairobi- Kisumu route, stepping up competition for established operators. Safarilink will launch a new service in Kisumu. It is Kenya’s premier safari airline with a network of domestic connecting flights and across the border into northern Tanzania. The airline will offer increased convenient connections to Mombasa, Diani, Lamu and Zanzibar. Governor Anyang Nyong’o will preside over the event at the Kisumu International Airport. Nyong’o and his wife Dorothy will be on the inaugural flight with other invited guests. Safarilink management said they are excited to launch the new route to the third largest city in Kenya.